This innovation addresses the problem of depression among individuals affected by HIV and war. Psychological therapies exist as first line treatments for depression, but they are non-existent in northern Uganda. The goal of the innovation is to develop a culturally sensitive group support psychotherapy (GSP) intervention to treat and prevent depression. The intervention consists of 8 weekly sessions. The first session addresses introductory issues. In the second session, participants receive psych education about depression and HIV/AIDS. Participants are given the opportunity to share and externalize any problem that they may have in sessions 3 and 4. In session 5, participants are taught positive coping skills, in particular skills to manage depressive thinking and excessive worries. Problem solving skills and skills for coping with stigma and discrimination re taught in session 6. Given that poverty is a known risk factor for depression the last two sessions (7&8) are dedicated to training participants in basic livelihood skills. Briefly, the first session addressed issues relevant for rapport and psychological education on the group process, techniques, ground rules and expectations. In the second session, participants were educated about triggers, symptoms, complications, and treatment options for depression. The relationship between depression and HIV/AIDS was also discussed. Participants were given the opportunity to share and externalize any problem that they may have in sessions 3 and 4. Given the high burden of war-related trauma among participants, sharing trauma stories was encouraged. In session 5, participants were taught positive coping skills, in particular skills to manage depressive thinking and excessive worries. Problem solving skills and skills for coping with stigma and discrimination were taught in session 6. Given that poverty is a known risk factor for depression, the last two sessions were dedicated to training participants in basic livelihood skills. These final two sessions focus on helping group members acquire basic livelihood skills that will enable them to identify income generating activities that will improve their livelihoods, thus enabling them to take control of their lives. The group facilitators lead a discussion about the kind of life the group members want to live after their group sessions and what they can do together or in smaller groups in the future. The group facilitator encourages them to think and plan more towards a different future shaped by them. The group facilitator helps them make decisions on the possible viable enterprises-- the smallest ones they can manage as they begin, which can enhance their sense of control and success. Examples include: forming a group which cleans school compounds and charges fees for this service; forming a group that collects rubbish and disposes it in a safe place and charge fees for this; forming a group which grows and sells a crop e.g maize, fruits, etc. The intervention was delivered in a group format over 8 weeks with intervention sessions lasting 2-3 hours each. The groups were gender specific and problem specific. Intervention facilitators were mental health workers with diploma level and degree training in psychiatric nursing, social work, counselling and clinical psychiatry. They were of the same gender as the participants and delivered the intervention materials following a scripted intervention manual. Apart from sessions 3 and 4, all other sessions were followed by homework activities designed to get participants to practice new skills between sessions, with feedback and discussions at the next session. Intervention facilitators at both sites received a manual containing the intervention content and guidelines for conducting the intervention sessions. To ensure consistent interpretation of the manual, all facilitators participated in a seven-day training workshop at the Kitgum PCAF trauma clinic. Training included pre-tests and post-tests, classroom work utilizing frequent role plays and feedback. ideo recordings of each training session were provided to facilitators which they reviewed prior to onset of each intervention session. One of the investigators (J.O.) had monthly supervision with facilitators to address issues arising from the on-going intervention sessions. At the end of the 8 sessions, participants were asked to rate the intervention on 5 items that assessed perceived effects of the intervention, how they liked the group leaders, and their overall impression of the intervention. These items were adapted from items used to evaluate previous interventions.9 Items were rated on a five-point Likert-type scale (from strongly agree = 1 to strongly disagree = 4). We were aware that local government authorities and community leaders have long-established relationships with the target community. So we endeavored to hold government-led consultations and community sensitization meetings with district political leaders and community leaders (e.g. religious leaders, women and youth leaders) on issues related to the project. They helped us to influence public perception and set a positive tone with the local community early on. Village health teams comprising of community lay health workers constitute the first level of primary health care in Uganda’s healthcare system. They helped us spread information about the project early on and mobilize the community to participate in focus group discussions. We anticipated that people would need time to think about the issues in this project and weigh the trade-offs. Non-governmental organisations focusing on HIV care such as Meeting Point-Kitgum work to support the capacity of the Ministry of Health to plan and implement HIV Care services in primary care. Partnering with them in this project enabled us to have access to persons living with HIV (PLWH) who could be easily followed up for long periods since most were receiving home-based HIV care services from Meeting Point-Kitgum. In the initial stages of the project there was minimal enthusiasm and support for the intervention among some program delivery staff who chose not to attend any of the trainings that were necessary for successful implementation of the project. There was a lot of skepticism about the feasibility and potential effectiveness of the intervention. Consequently, the number of staff trained to deliver the intervention was small. This made group facilitation a challenge, especially when conducting the randomized controlled trial, which involved 10 groups. Ideally, group sessions should be led by two facilitators, but this was not possible given the small numbers of group facilitators trained. Given that there were limited staff trained in delivering the intervention, monitoring and documenting whether the intervention’s content was delivered fully and as designed was challenging. On-site supervision was not possible. Instead we asked group facilitators to complete a short checklist at the end of each intervention session and a supervising psychiatrist discussed with group facilitators challenges experienced while delivering the intervention on a monthly basis. At the start of the intervention, group participants were skeptical as well. Some could not keep time. Others were quiet throughout. Most group participants gained interest in the intervention during session 3, which involves venting and externalization of personal problems. And once these sessions on sharing problems started, participants wanted to go on and on and they were difficult to stop. The intervention is being replicated in Tanzania by Professor Sylvia Kaaya. 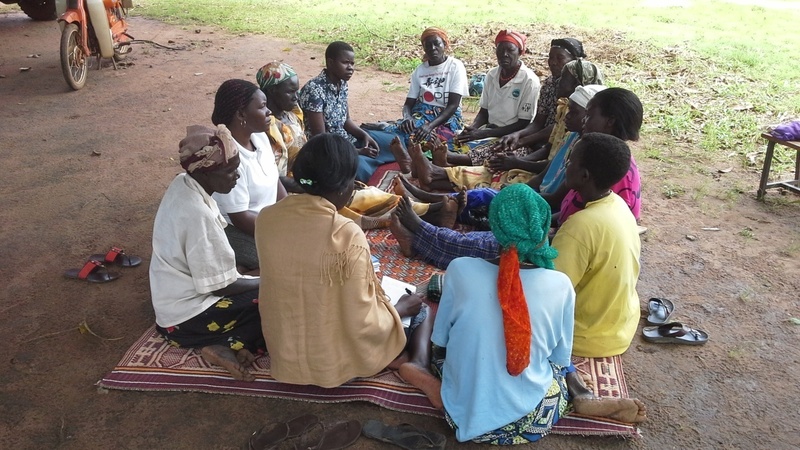 We conducted a randomized controlled trial of the group support psychotherapy intervention for depressed HIV infected adults in post-conflict northern Uganda. The trial was registered in the Pan African Clinical Trial Registry (Trial Number: PACTR201402000742370). 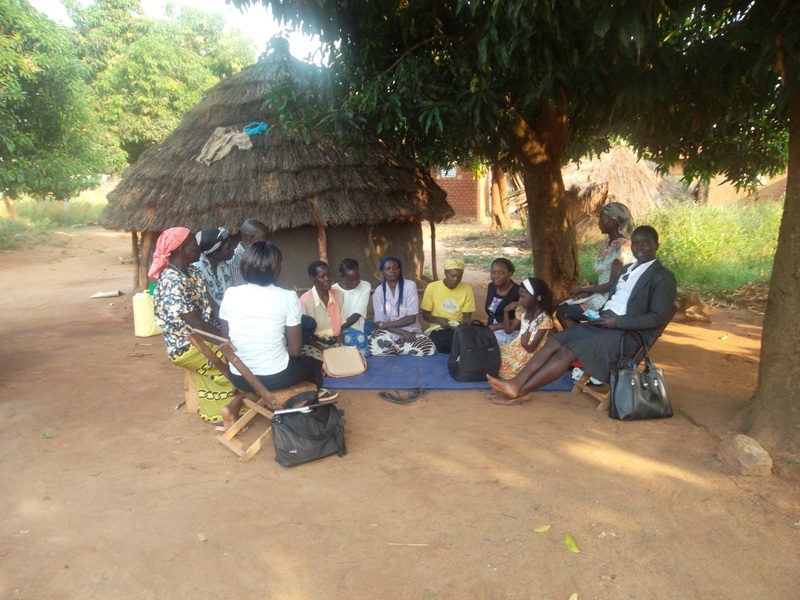 To determine the efficacy of the intervention, we compared the effect of group support psychotherapy (GSP) and that of Group HIV education (GHE) on depression symptoms among persons living with HIV/AIDS attending an urban HIV care center in Kitgum district, northern Uganda. Men and women living with HIV/AIDS (N=109) were randomly assigned to receive either GSP (n=57) or GHE (n=52). Patients were assessed before and after completing the 8-week intervention. Outcome assessment included measures of depression symptoms and functioning. Measures of social support and self-esteem were considered as secondary outcomes. Qualitative methods were also used to further evaluate the intervention. 450 individuals in four PCAF trauma clinics received the intervention in the first year following development. Of these 65 %( n=292) are women. PCAF spent $2000 on delivering this intervention. Hence, the cost per patient is approximately $4 which is 10 times less than the cost of the cheapest course of anti-depressant medication available locally, which must to be taken for a period of 6-9 months. Seventy-five percent of GSP participants and 25% of GHE participants achieved a 50% reduction in depression symptoms post-intervention, suggesting that GSP resulted in significantly greater improvements in depression symptoms, with an effect size of 0.8. The increase in functioning scores was significantly greater for GSP participants compared to GHE, suggesting that GSP resulted in significantly greater improvements in function with an effect size of 0.5. Changes in self-esteem and social support were comparable between the two groups post-intervention. These findings indicate that GSP may provide rapid symptom relief for HIV positive individuals with clinically significant depression. Long-term follow-up of participants is necessary to better understand the potential benefits of this novel intervention. In-depth interviews conducted with individuals who have participated in GSP intervention indicate that participants further formed livelihood groups and initiated income generating activities which have had positive impacts on their lives. Participants report improved health through total reduction and cessation in alcohol use as a result of the support each member is getting from the group. They report feelings of increased peace of heart and a reduction in feelings of bitterness and resentment which used to contribute to their depression. They spend less time worrying, since they are busy with their income generating activities. Some members testified to experiencing reduced symptoms of trauma, e.g. some members said they have not had scary nightmares over the past 7 months. Group members report they are now hopeful for a better life and that this has helped prevent further relapse, since they can easily access basics through the group savings and that makes them think life is worth living.The livelihood groups are also reported to have instilled the spirit of hard work into the group members, since they know each one of them is important for group success.Group members report easy access to capital for individual income generating projects through their savings and lending schemes at low interest rates. They report easy access to finances to meet family financial problems like paying school fees, health expenses, clothing and other emergencies. The groups have also built the capacity and ability to lobby for support for developmental programs from different NGO’s and the Government. The members also give continuous emotional, and psychological support to each other, since they meet regularly in group and this has helped in sustaining recovery. The group members report they are now able to function more fully, being able to afford time to support other suffering members of their communities, and in so doing they have prevented their own relapse. They also report Increased unity, love and co-operation among group members, and increased respect and less stigmatization in their communities. Nakimuli-Mpungu, E., Wamala, K., Okello, J., Alderman, S., Odokonyero, R., Musisi, S., ... & Mills, E. J. (2014). Outcomes, feasibility and acceptability of a group support psychotherapeutic intervention for depressed HIV affected Ugandan adults: A pilot study. Journal of Affective Disorders. Nakimuli-Mpungu, E., Wamala, K., Okello, J., Alderman, S., Odokonyero, R., Musisi, S., ... & Mills, E. J. (2014). Group support psychotherapy for depressed HIV + adults in post-conflict northern Uganda: A randomized controlled trial. Proceedings from the 7th Annual Pan African PCAF Psycho-Trauma Conference, 21–23 July 2014, Lake View Resort Hotel, Mbarara, Uganda. Kaaya S.F., Blander J., Antelman G., Cyprian F., Emmons K.M., Matsumoto K., Chopyak E., Levine M., and Smith Fawzi M.C. Randomized Controlled Trial Evaluating the Effect of an Interactive Group Counseling Intervention for HIV-Positive Women on Prenatal Depression and Disclosure of HIV Status. AIDS Care 2013. Chowdhary N., Jotheeswaran A.T., Nadkarni A., Hollon S.D., King M., Jordans M.J., Rahman A., Verdeli H., Araya R., and Patel V. The Methods and Outcomes of Cultural Adaptations of Psychological Treatments for Depressive Disorders: A Systematic Review. Psychol Med 2013: 1-16. Mundell J.P., Visser M.J., Makin J.D., Kershaw T.S., Forsyth B.W., Jeffery B., and Sikkema K.J. The Impact of Structured Support Groups for Pregnant South African Women Recently Diagnosed HIV Positive. Women Health 2011: 51: 546-565. Nakimuli-Mpungu E., Alderman S., Kinyanda E., Allden K., Betancourt T.S., Alderman J.S., Pavia A., Okello J., Nakku J., Adaku A., and Musisi S. Implementation and Scale-Up of Psycho-Trauma Centers in a Post-Conflict Area: A Case Study of a Private-Public Partnership in Northern Uganda. PLoS Med 2013a: 10: e1001427. Purcell, D. W., Garfein, R. S., Latka, M. H., Thiede, H., Hudson, S., Bonner, S., ... & Ouellet, L. J. (2007). Development, description, and acceptability of a small-group, behavioral intervention to prevent HIV and hepatitis C virus infections among young adult injection drug users. Drug and alcohol dependence, 91, S73-S80. Development and pilot evaluation of an integrated intervention that targets IPV and its psycho-social health consequences in a refugee camp within a low-income setting. Trained and supervised lay health worker stationed on a “Friendship Bench” delivers problem-solving therapy.